The ease of placing an order at the click of a button has lead to a sudden increase in online bookstores. It makes the whole experience of ordering books a hassle-free task. People prefer to place online orders because they get a visual display of various genres and categories of books. It acts as a one-stop-shop for all your needs. The various sections and drop-down menu makes it user-friendly and the users can easily navigate and choose what they are looking for. One of the key factors that drives people to various online portals is the pricing. Websites offer attractive discounts and deals which attracts customers and compels them to buy online. Also the user reviews, suggestions and recommendations make the shoppers decision better. Let’s look at the various factors which influence a person’s online experience. • Huge variety of various genres at one place. • Easy to operate website design and hassle-free shopping. • Books are properly categorised under various headings and sub-headings which reduces time and effort. • Great discounts and deals which enable people to buy more books. A strategy followed by most online sellers. • Synopsis and a general overview of the book helps people in ascertaining their choices. • Reviews and people’s recommendation give you an idea as to which books are being preferred and the ones which are worth reading. • New arrivals and bestseller categories help in refining your decision as to which books are in trend. 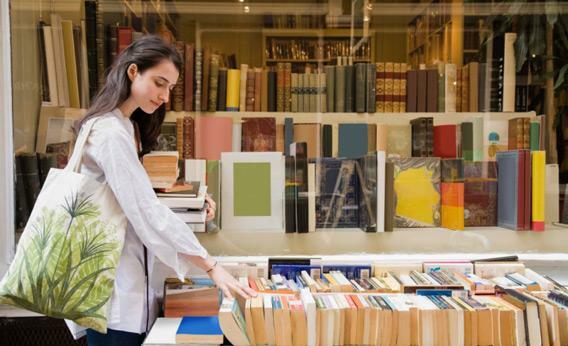 • Another main factor is that it reduces the need of going to a physical store or a book shop which requires time investment as you have to walk through various sections and read the synopsis or the blurb. Buying books online has never been this easy. Now you can just sit back and order as per your convenience. www.haranandbooks.com is a leading online bookstore in India where you can lay your hands on a varied range of books from fiction, non-fiction, story books to educational books. Visit their website to grab the latest and worth reading books.